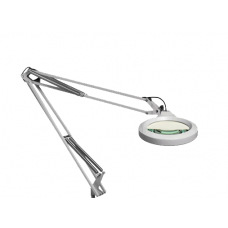 LFM LED is a lightweight magnifier with an all-metal construction, LED light sources, and a flexible spring-balanced arm in the Luxo tradition. The arm provides long reach and maximum vertical and horizontal movement, and will always stay in the right position without drifting. 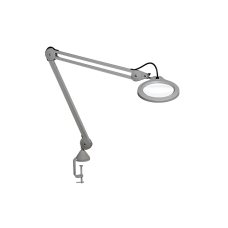 The flexibility of the joint between lamp head and arm makes exact positioning easy. 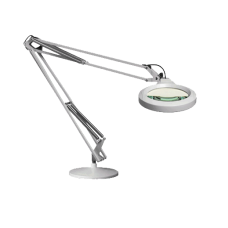 LFM LED is equally well suited for professional use as for use by the visually impaired and others with a need for precise magnification. The light weight makes it easy to move around. 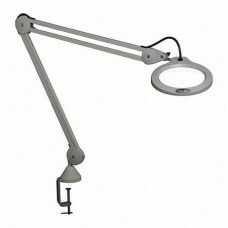 LFM LED is easily mounted with a removable table edge clamp. 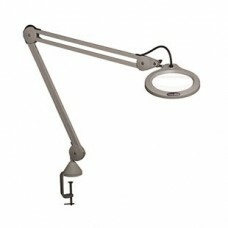 Luxo 16346LG IFM Magnifier 45". 5-Diopter. Light grey. Edge clamp.